Traditional ways of education are not proving fruitful now a days. The curriculum along with the designing process as well, are lacking in delivering best quality results. The traditional way of curriculum design is a process of three phases. The initial phase is where various concepts are stated as per the requirements. This function is the foundation for the entire process. It is thus, then followed by the phase of analysis where the concepts stated in the first stage and their inter relation with each other is analysed accordingly. The cycle ends at the last stage where the student has to be capable enough to implement his acquired knowledge in real time situations to find optimum solutions. The entire process has some loopholes which thus affect the efficiency of the conclusion which is ultimately the curriculum. To deal with the setbacks and to overcome the inefficiency of the traditional way, a new way of curriculum design is proposed in the undertaken work. Here the process starts with the same initial step of describing where all the concepts are stated followed by the function of analysis. In the second phase, the outcome will be more efficient if the curriculum will be conclusive all the necessary advancements of digital world. The process will provide us with a basic structure. This basic structure will be then given as an input to the stated developed tool which will connect to the web and furnish us with a highly efficient updated curriculum. This new technique will help the institutions enabling a better and stronger curriculum which will impart the most advanced knowledge in students so that they can utilise their skills and knowledge effectively encountering the working issues. This curriculum design model is focused on the drawback of the knowledge being outdated, which is given to the students, which then ends up troubling the student while implementing the same. 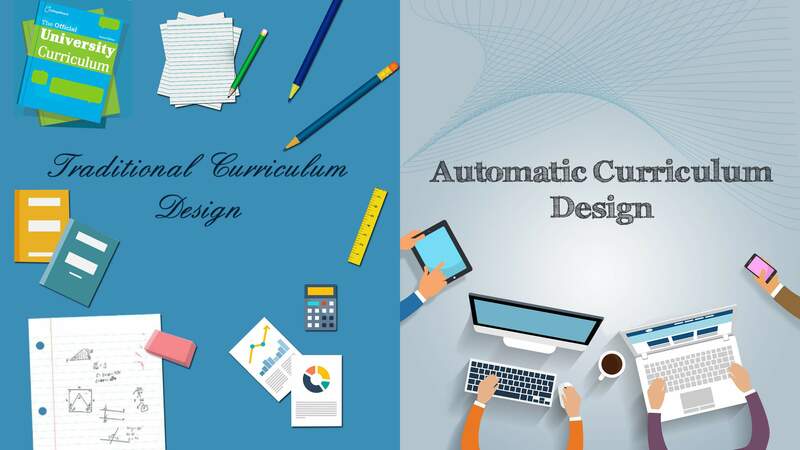 This automatic curriculum design process will maximise the benefits of technology.